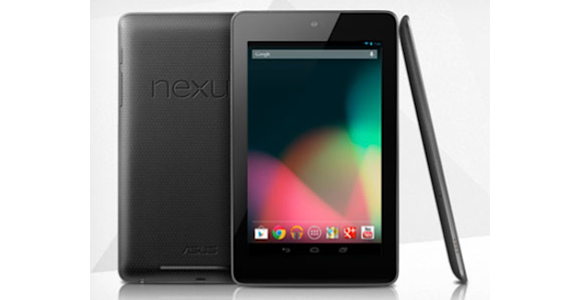 Google’s Nexus 7 is the first tablet from search giant and technology powerhouse that may very well put up a formidable competition. Besides, Galaxy Tab the only real threat could be posed to Apple’s iPad is the Nexus 7 tablet. At £200, it’s cheap on pocket, for the 8GB model, and feels like a quality piece of hardware also. This is where is poses a serious threat to other contender including Samsung as well. The sheer amount of hardware and software features packed into Nexus tablet could turn out to be an inevitable turn-on for end-users. It exudes ‘Google Magic’ with every usage. Though it is in the budget tablet category, you won’t feel as if you compromised something by purchasing this one. It uses the “Jelly Bean” Android OS (the first to use this OS), and thus makes finding of apps for this device a bit tricky. It enhances itself with the apps and here are ten of the best apps for the Nexus. Let’s assume that sooner or later you’re going to get your hands on this lucrative and fruitful tablet from Google. But is the Google Play store ready to serve the new crop, let’s find out. Google chrome is again an app from the powerhouse of innovation. Chrome has already proved its worth on PC segment and is ready to rock the smartphone and tablet segment as well. It is the first time optimization of Chrome has been done for a tablet. This is giving a light, functional browsing feel which all loves. It works surprisingly well in a typical Google style. Also Chrome keeps track of everything one does using the tablet to use the info and suggest useful widgets. Needless to mention that Google chrome browser is said to be one of the most powerful, light on resource and fastest browser out there. It will take the browsing experience on Nexus 7 tablet to a whole new level. This application is also preloaded that helps the Nexus outpace competition. With Google Currents we get a friendly user interface, a neat / clean look and the “wow factor”. One understands that every inch of the Google Current app was designed with the Nexus in mind. It just shows once one loads it up for reading favourite blogs or surfing websites. It will serve as one of the best place to read your favourite news, feeds and other stuff. The way Google currents organizes all the feeds is incredible in itself. Watch the news is a simple, easy way for keeping track of the current events. It features access to almost all popular news feeds/programs. Select your favourite category or channel and enjoy up to date news stream on your tablet with minimal fuss. Now, one can know by this app usage, what one talks when one talk about current issues. The UI is something to boast about for the developer. Already a winner, Bloomberg’s tablet app has now sprinkled some more magic for the smaller screen tablets, comparable to its version on the Android tablets. One can watch related news articles and videos, and Bloomberg really improved it for the Nexus it seems. Swiping to view the previous or next topics / articles is also possible now. We can say that Bloomberg has done a commendable work and poured hard work in shaping up this application. Without music every smartphone, tablet is just a piece of junk. After all, smartphone and tablets are an entertainment device first and then gadget to serve different purpose. The Nexus 7, just like maximum Android devices, allows easy transfer of content both ways from the PC. All kinds of media may thus be used. But for reasons unknown, Google’s preloaded media player in the Nexus does not support playing of several video formats. Probably they would patch this oversight soon. Till then download MX Player. It is sure to patch up this oversight and enable you to conveniently play all popular video formats. Take a look at some more music player for android on geniusgeeks blog. Once you get the hang, this golfing video game is sure to make you an addict. It is a promising one to keep you entertained for hours by allowing you to experience the sport. It looks appealing / beautiful on the Nexus 7 screen. Flick, means once the ball is hit, a few well-placed flicks can still help you manipulate it. Android devices are cool as they are flexible to be hacked unlike the rigidity of Apple devices. Anything can be customized on android as long as there is an app for the change. Well if you don’t want to miss anything by pumping up / modifying the default volume of the movie or music, this app is for you. Boost and enjoy the enhanced volume and enjoy this app usage. Though one of the most expensive apps, yet you can enjoy every penny you spent by using this app. Minecraft is one of the most successful indie PC games. This is a shrunk PC version, basically an entire world in one’s pocket. Build anything and go anywhere. It’s not only a set of LEGOs (virtual) because as soon as night falls, one’s survival skills are put to test by the game. Menacing monsters are introduced, who are hell-bent on destroying your creation. Multiplayer functionality is supported also. You just have to answer the door using to take delivery of the food you ordered using GrubHub. Yes this app enables you to order food without coming in human contact. Use the app and a few finger swipes will do it all. Have all you want to GRUB, magically at your doorstep. Managing your finances that is all of that number crunching is what this app does. Even the laziest would now manage his finance like experts. Mint accesses all accounts and does the number crunching for you. It is truly helpful and efficient. The above listed and discussed are the 10 must have / best Nexus apps in my testing out from amongst hundreds. These are the best and indispensable value for your money / free apps. Hope you found the exhaustive analysis helpful.